The word Rambo has become synonymous with the action of killing a lot of people with big guns without getting as much as a scratch. It’s something that most first-person shooters do when they feel really confident. Yet when you watch First Blood, those who haven’t seen the film will be surprised to see that he isn’t exactly the one-man army that the modern term implies. 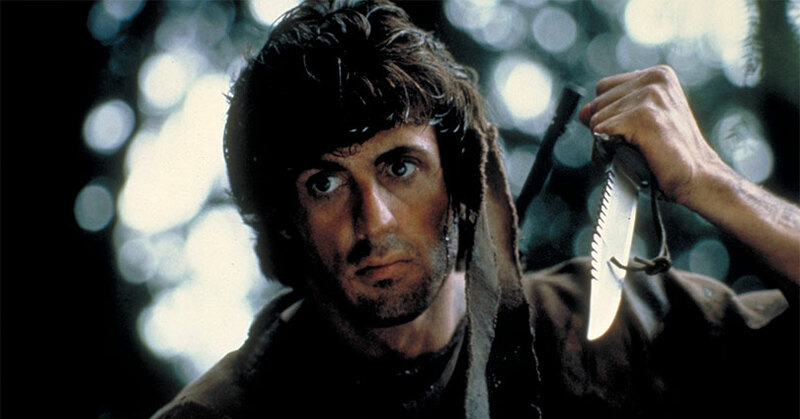 Instead, John Rambo is a cunning survivalist in First Blood. The action is a lot more subdued to primarily focus on John Rambo as a tragic character. In other words, he’s a war veteran who has severe PTSD issues. He’s a man with some severe issues, so it’s no surprise that he pushes back when law enforcement pushes him. And boy, does the law enforcement deserve the amount to punishment that Rambo deals upon them. However, this means that there are no likable characters in this film. The law enforcement certainly isn’t sympathetic and neither is Rambo either. A lot of that has to do with the tacky way that they expose Rambo’s PTSD. The film never really goes deep into his mental health issues. Instead, the film has quick flashbacks to his traumatic time in Vietnam. This might’ve been effective back in the 80s but nowadays it’ll take a lot more to get the audience’s sympathy. It also doesn’t help that Sylvester Stallone plays John Rambo with zero personality that it’s incredibly difficult to root for a bland character. He never quite recaptures the charisma he had in Rocky. Understandably, it’s two completely different characters but an actor will still be able to inject some life into a character. Nevertheless, Stallone showcases a lot of emotion at the end of the film which displays his ability as an actor. Of course, he also has the physical traits to effectively portray the physicality of the role. 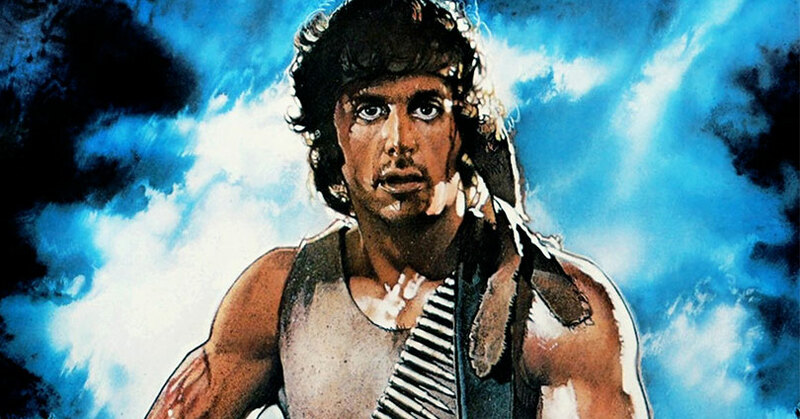 Overall, First Blood isn’t the film that you expect from a Rambo film. In other words, it’s more of a character film than an all-out 80s action extravaganza. It’s boring at first but once it picks up, the film becomes much more tolerable. Just don’t expect to see the Rambo that you know of by today’s definition. First Blood hits Ultra HD Blu-ray with an HDR transfer and a 2.39:1 aspect ratio. Although the source material was shot in native 4K, the video transfer is very inconsistent. In other words, there are times when a scene will have good contrast, brightness, and black levels and then it’ll cut to a scene that’s flat and dark. The scenes that look pristine have good depth, vibrant whites, and inky blacks. The scenes that aren’t pristine are overly dark and flat. Since the source material is 4K, it’s safe to say that inconsistencies are because of the source material instead of the actual video transfer. In addition, the detail clarity is inconsistent too. Once again, there are times where the detail clarity is really clear and the next, the film is out-of-focus. Nevertheless, the colors have a natural look to them. However, the colors don’t pop nor do they look oversaturated. Then again, the film isn’t ripe with a lot of colors. At the same time, the skin tones look natural too. Overall, the video transfer still looks good despite the inconsistent nature of the source material. First Blood hits Ultra HD Blu-ray with a 5.1 DTS-HD Master Audio track. The sound effects sound very dated. In fact, they also sound a bit hollow and not very crisp. Judging from other Ultra HD Blu-ray, this seems to be the norm with a lot of these 4K releases of 80s films. Nevertheless, the sound effects are positioned accurately and provides a bit of immersion when the action starts going. When it comes to the music, it doesn’t envelope you from all sides. Unfortunately, much of the audio mix seems to come from the front three channels. Luckily the music and sound effects don’t overpower the dialogue from the center channel. As for the subwoofer, there isn’t many LFE that’ll rumble your entire viewing area. Even when the bullets fly, you won’t hear much action from your subwoofer. Overall, this is a good audio mix but it’s still a product of the times. Because the Blu-ray was first released by StudioCanal, some of the text on the featurettes is in French. 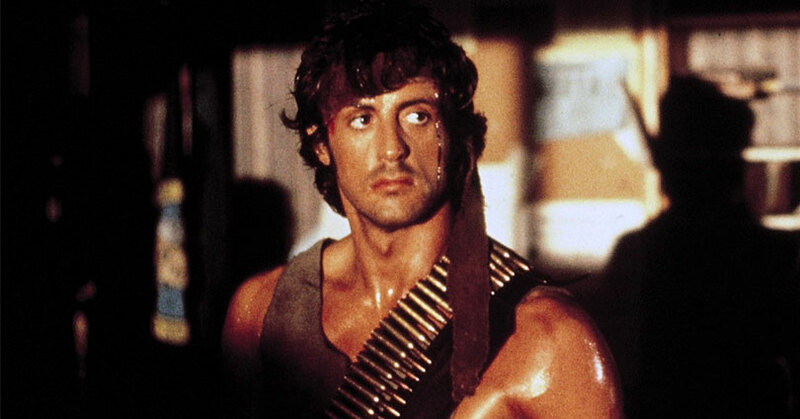 Nevertheless, “Rambo Takes the 80s” is an incredibly insightful and informative documentary about John Rambo. Everyone from the author of First Blood to various critics talk about and analyze the impact of the character. 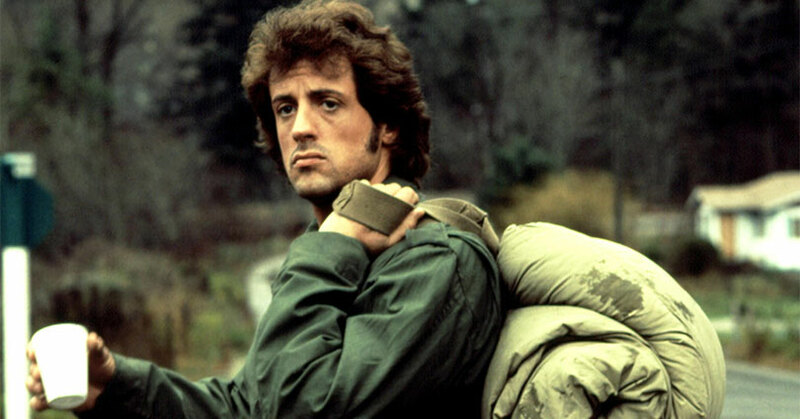 If you appreciate First Blood then watching this documentary will make you appreciate it even more. The “Making of” featurette is a bit dated but it has a lot of interesting stories that general audiences might not know of. The “Alternative Ending” gives us the ending where John Rambo dies at the end. The same ending that was torn apart by test audiences which made the filmmakers change the ending to one where Rambo lives. The “Outtake” is a single outtake which isn’t even that funny. Finally, the “deleted scene” is a scene that was thankfully cut from the film. The context of the scene would make you think that Rambo would do something naughty within the confines of that cave. “The Restoration” is simply nothing but soundless clips showcasing the restorative work done on the film. It’s boring but if that’s your thing then you’ll love it. “The Real Nam” is such an informative featurette about the highly controversial Vietnam war. It’s not as engaging as Ken Burns’ documentary but you’ll still learn a lot from this featurette. “Forging Heroes” is another informative featurette which shows you everything that you need to know about the Green Berets. For your fitness nuts or those looking to lose weight, “How to Become Rambo” shows you the various exercise techniques to train your body to become like Rambo’s. Of course, it might not look like Stallone’s but it’s certainly a start. Overall, First Blood is an interesting first entry into the Rambo franchise. It’s not an all-out action extravaganza as the later films have become. Instead, the film focuses on the tragic side of Vietnam vets struggling with PTSD. Unfortunately, the video and audio look and sound very dated thanks to the source material. Thankfully, the Blu-ray release is chock full of informative featurettes that are both engaging and insightful. The post First Blood – 4K Ultra HD Blu-ray Review appeared first on Nerd Reactor.